We Ask S'poreans: Is "Zero Waste" Here To Stay? Govt And Businesses Are Pushing For A "Zero Waste" Future - But Are S'poreans On Board? The zero waste movement has been growing in Singapore over recent years, with emerging local businesses hoping to encourage sustainable lifestyle switches. The Ministry of Environment and Water Resources has plans to launch an inaugural Zero Waste Master Plan in 2019. We ask Singaporeans whether they can overcome inconveniences to change their habits, and find out if they feel passionate or skeptical about the trend. On 12 January 2019, Minister for the Environment and Water Resources, Masagos Zulkifli, announced the launch of Singapore’s Year Towards Zero Waste at an event at Our Tampines Hub. The words “zero waste” have been heard a lot especially in the last couple of years, with a myriad of international and local businesses emerging with solutions for the noble cause. If you aren’t familiar with it or still don’t understand the idea, the zero waste movement aims to change the way materials flow through society, ultimately resulting in no waste—by preventing the creation of unnecessary surplus, or reusing instead of throwing things away. Singapore reported an alarming 7.7 million tonnes of waste produced in 2017, which includes food, plastics, papers, textiles, electronics, and other types of waste. For such a small country, some of the reasons we produce so much waste stems from affluence resulting in high consumption, and the fact that disposable materials are incredibly cheap to make. Around a year ago, I began to notice zero waste products popping up on my social media feeds, and one that appealed to me was an alternative straw sold by Bamboo Straws Worldwide. I ordered a set, and started bringing one out with me as often as I remembered to, requesting for my drinks to come without a straw, and cleaning up at the sink afterwards. At first I was undeterred by the questions from unconvinced friends and family members. But a few months in, little inconveniences started getting to me—straws were too long to fit in smaller bags, it was hard to ask for “no straw, please” when ordering in a group, the blunt straws couldn’t pierce the lid of a bubble tea cup, and they became under-utilised as I drink hot drinks more often. I gradually lost the motivation to switch out straws, but by then, they had sparked some change in me to pick up a few other habits. Now, I bring a reusable cup to buy my morning coffee and a Tupperware box to buy lunch, use my own set of utensils, put my shopping straight into my bag without a plastic carrier, and use soap bars instead of bottled body soap. In all honesty, I’m only making changes that are convenient for me so far, and my experiences kind of helped me understand why some people find it hard to get started. So, I decided to ask some other Singaporeans what they think about going zero waste. I wasn’t sure if I would find enthusiastic environmentalists, or come face to face with depressing apathy, but it turned out to be somewhere down the middle—2 in 3 respondents say they have changed at least one thing in order to live less wastefully. However, they also acknowledged that everyone faces barriers in getting started or going further. One respondent (who has requested to be anonymous) has managed to remove cotton buds from her makeup routine, do away with disposable toothbrushes and shavers, and switch her soap, shampoo, and conditioner all to bars. Impressive, yet she still agrees it isn’t easy. “I really see the benefits in [the lifestyle], but I do agree that it requires a lot of effort and initial investment,” she says. For some others, this is one reason why they choose not to get involved so far. I also heard from Isabel, one Singaporean who hasn’t been moved by recent campaigns. Saying that “old habits die hard”, she thinks it might be easier if green practices were more integrated in our society. On the other hand, some aren’t inspired to join in because they’re wary that the movement might just be a passing trend. Fauzli is one who doesn’t take part as he feels that it’s all “hype” surrounding the zero waste topic. 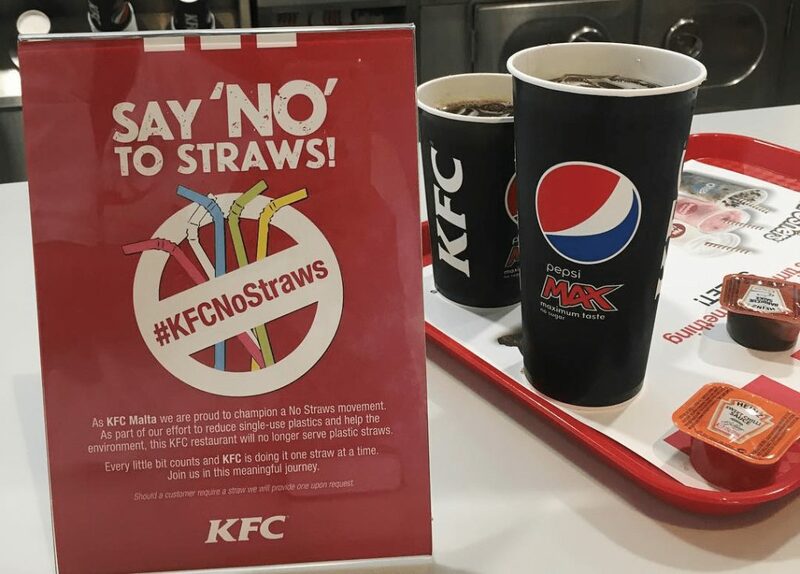 Restaurants are all into banning plastic straws because it’s the popular thing now, but they continue to use plastic and styrofoam in everything else. It doesn’t feel genuine. On the same note, our anonymous respondent thinks people should be mindful not to hop on the bandwagon to buy trendy zero waste products, without putting them to use. I would have thought that once someone spends money to invest in a reusable product, they’d commit to using it. But just like how I eventually stopped using my bamboo straws, a few respondents also told me they easily misplaced or forgot about the zero waste items they owned, like metal straws, glass straws, and beeswax paper (which can be used to replace cling wrap). 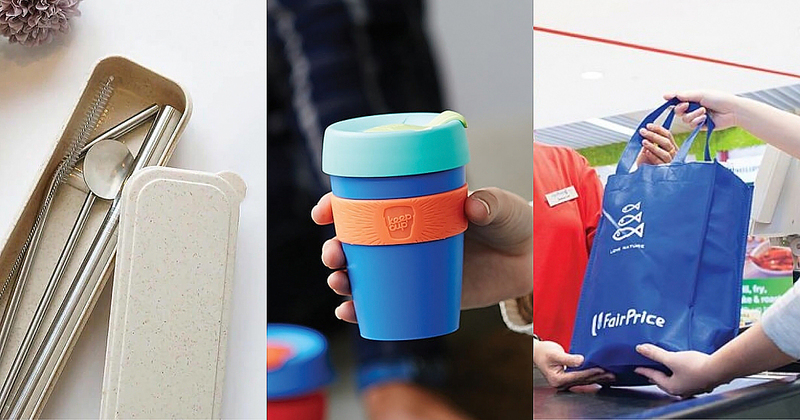 Jie Ying, who is deeply involved in going zero waste, suggests that people can find reusable items they already own at home, instead of buying a new set because others are doing it. You don’t have to buy a cutlery set just to jump on the movement—you could simply go to your kitchen and assemble one. Why create more waste? Some Singaporeans bring up doubts, especially when it comes to the commercialising of the movement. While Isabel responded that she hasn’t made lifestyle changes, she’s already been recycling frequently at home and cares about her impact on the environment. It’s new businesses and campaigns she feels uncertain about, afraid that they’re only employing “short-term strategies” that could “bring more value to corporations than the environment”. Similarly, Andrew is another respondent who hasn’t made zero waste attempts, and says his skepticism about the motivations of zero waste businesses holds him back. I can support supermarkets that encourage reusable bags or no packaging, but businesses that sell zero waste products send mixed signals to me. I’d like to help save the earth, but should it cost me so much to buy one zero waste item? Kar Liang, who makes his contribution by carrying a reusable shopping bag, also has his doubts when it comes to zero waste sellers, as it’s hard for consumers to know if businesses truly “practice what they preach”. One thing commonly agreed on, regardless of the respondents’ level of involvement in zero waste, is that the movement needs to go mainstream in order to really motivate Singaporeans. Some say they would like zero waste stores to be more common in locations across the island, so people new to the lifestyle have easier access to getting started. Others focus on education to help instil values from a young age. Ann Jie, who makes efforts to use reusable food containers and buy fresh produce without packaging, thinks education and incentives will help Singaporeans break out of old habits, and help zero waste progress from a trend to a lasting lifestyle. They would also welcome more efforts from the government to help institutionalise the lifestyle, which is soon doubling up with a Zero Waste Master Plan in the works to be released in the second half of this year. Till then, consultations will be held for the public to contribute and make suggestions towards the inaugural Master Plan. After learning these points of view, I also reached out to local zero waste businesses to find out how they are received among Singaporeans. 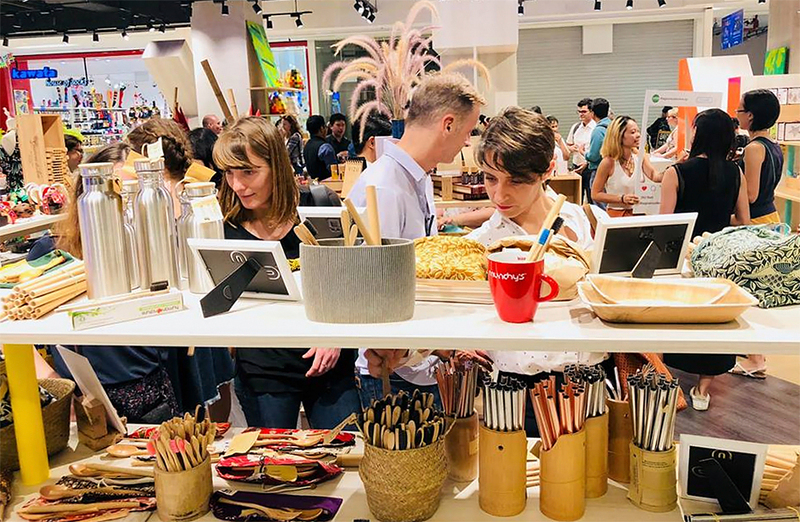 According to Bamboo Straws Worldwide, zero waste retailer The Green Collective, and Singapore’s first no-packaging grocery store, Unpackt, support from consumers has not dwindled, but grown stronger. Co-founder of The Green Collective, Agatha Lee, shares that the store has seen about 4,000 customers purchase sustainable straws, which could result in saving 1.42 million plastic straws a year (assuming each person uses a straw daily). Over 6 months, she has also seen 500 women switch to alternative menstrual health products, while the average woman would otherwise use approximately 12,000 disposable pads in her lifetime. For Florence Tay of Unpackt, she credits the continued support of customers for helping their brand build credibility and persuade suppliers to provide them more bulk options, resulting in less packaging in turn. Bamboo Straws Worldwide founder Melissa Lam says reception has changed drastically, from 5 years ago when Singapore’s interest in zero waste was “almost non-existent”. While she runs a business, Melissa says she would be glad if people are inspired to simply not use straws at all, even if that means they wouldn’t make a purchase. “Most of my customers have faith in the trend continuing and hopefully becoming less of a trend and more a way of life,” she says. At the end of the day, we don’t require new products to enable us to live less wastefully—we can do it with items we’ve had access to in our homes before the zero waste movement started. It also doesn’t hurt to be discerning about possible “green-washing” in less legitimate businesses that just hop on the bandwagon to make a quick buck. Zero waste businesses may not be the whole solution to our waste production problem, but with the right motivations, they do have a place in sparking change and getting the public interested to try living differently. Some entrepreneurs even go a step further to carry on the conversation, and cultivate communities where people continually encourage one another in their journey towards zero waste. Partnered with larger efforts from corporations and government agencies, it may be possible to see lasting impacts that change our societal habits.